Danny Glover's newest lethal weapon? The actor paid a visit to the Benning Neighborhood Library in Northeast today. He helped celebrate the new library as an example of the type being built in Zambia, Africa. 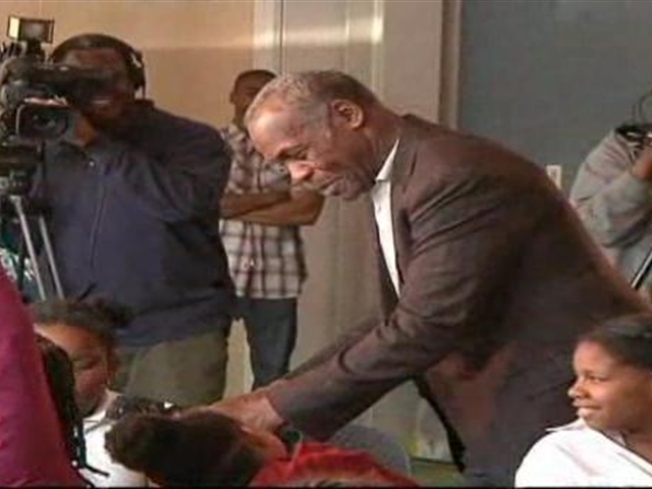 D.C. Library's New "Lethal Weapon"
Actor Danny Glover reads to elementary students at the new Benning Neighborhood Library. Glover did some Q&A with elementary school students, and read to them "Martin's Big Words," an award-winning children's book about Martin Luther King Jr.
Glover is supporting the Lubuto Library Project, which funds libraries and education programs in Africa. The group also connects volunteers in North America and Europe with peers in Africa through community service.